Immunoglobulins are antibodies. They're proteins that are made by your immune system after exposure to an antigen (something harmful to your body that causes an immune response). Immunoglobulins, or antibodies, fight off germs, illness, and disease. They circulate throughout the body and can be found in your blood, sweat, saliva, and even in your breast milk. Secretory Immunoglobulin A (IgA) is a special immunoglobulin. It's the main antibody found in your breast milk. IgA is considered the most important immunoglobulin in breast milk, and it's also the one that's talked about the most. Babies are born with low levels of IgA. Then, as the weeks and months go on, a baby's immune system makes more IgA and the levels slowly rise. But, when a baby breastfeeds during this early period of life, he gets high levels of IgA from breast milk. IgA is important because it coats and seals your baby's respiratory and intestinal tract to prevent germs from entering his body and his ​bloodstream. The IgA antibodies can protect your child from a variety of illnesses including those caused by bacteria, viruses, fungi, and parasites. Besides IgA, there are 4 other types of immunoglobulins in breast milk. They are IgE, IgG, IgM, and IgD. Colostrum, the first breast milk, has very high levels of immunoglobulins, especially IgA. Not only do these immune factors fight off illness and infection, but they also protect against allergies such as milk allergies, eczema, and wheezing, especially for infants who have a family history of allergies. As your breast milk changes from colostrum to transitional milk and finally to mature breast milk, the concentrations of immunoglobulins change. However, even if you breastfeed for a year or longer, these immune properties including IgA can still be found in your breast milk. They will continue to protect your child for as long as you breastfeed your baby. Actually, your child will continue to benefit from the immune-boosting substances in your breast milk long after breastfeeding has ended. While we do not know everything that these immunoglobulins do, we are learning more and more about them all the time. And, one thing's for sure, infant formula cannot duplicate these amazing properties found in breast milk. A premature baby's immune system is not as strong as the immune system of a full-term baby. Preemies are at a greater risk of getting an infection, and they have a harder time dealing with infections when compared to full-term infants. That's why breast milk is so important for premature babies. The antibodies in your breast milk will help your preemie to fight off bacterial and viral infections. Babies who need to go to daycare can benefit from breast milk. 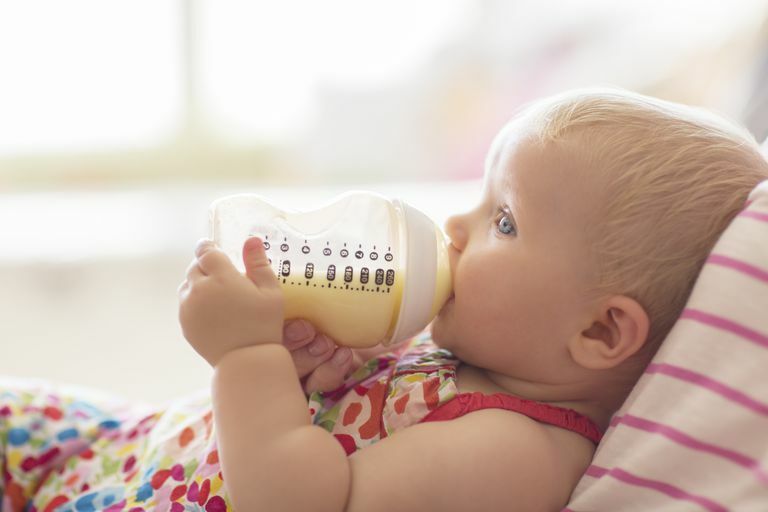 The antibodies in the breast milk that you pump for your child can help protect him from many of the common childhood illnesses that can be easily picked up in a childcare setting. Breastfed babies are less likely to get gastrointestinal illnesses that cause diarrhea and vomiting. They also have a lower rate of respiratory infections and ear infections when compared to children who receive formula. When you pump your breast milk, some of the bacteria and germs on your skin can get into your breast milk storage container along with your breast milk. The immune factors in breast milk help to prevent this bacteria from growing and causing your baby to become ill. If you pump, it's ideal if you could give your baby fresh breast milk. However, that's not always realistic. So it's important to follow the safety guidelines for the collection and storage of breast milk. Breast milk stored in the refrigerator maintains most if it's immune properties. When you freeze breast milk, it loses some of its healthy immune factors, but not all. Heating breast milk at high temperatures (especially in the microwave which is not recommended), can destroy the antibodies and other immune factors in your breast milk. But, if your breast milk is collected and stored safely, even with the loss of some immune factors, it is still better than any infant formula available. If you catch a cold or develop an illness while you're breastfeeding, you can usually continue to breastfeed. Breastfeeding through most of the common illnesses is safe. By the time you realize you're sick, it's likely that your baby has already been exposed to your illness. But, as you continue to breastfeed, you pass the antibodies that your body is making to fight off your illness to your baby through your breast milk. Your child may be able to fight the illness easier, or he may not even catch it. If your baby is sick, the antibodies in your breast milk will help your baby to fight off any illness or infection that he develops. In addition to antibodies, breast milk provides nutrition, fluids, and comfort to sick children. Does Your Baby Still Need to Be Vaccinated If You Breastfeed? While breast milk provides your baby with important immune protection, it does not protect your baby from all the diseases that she may come into contact with during her lifetime. And, many dangerous and deadly illnesses are preventable through childhood immunizations. Even though there are strong opinions on both sides of the vaccine debate, you should learn all the facts about vaccines and discuss the issue with your child's health care provider. Your baby's doctor will provide you with a schedule of recommended vaccines for your child at each developmental stage. Lawrence, Ruth A., MD, Lawrence, Robert M., MD. Breastfeeding A Guide For The Medical Profession Seventh Edition. Mosby. 2011.